Internet cyber threats and attacks are increasing for companies both large and small. Dan Maier, VP of Marketing with Cyren, shares the latest “IT mega-trends” that are creating the perfect storm for cyber attackers. 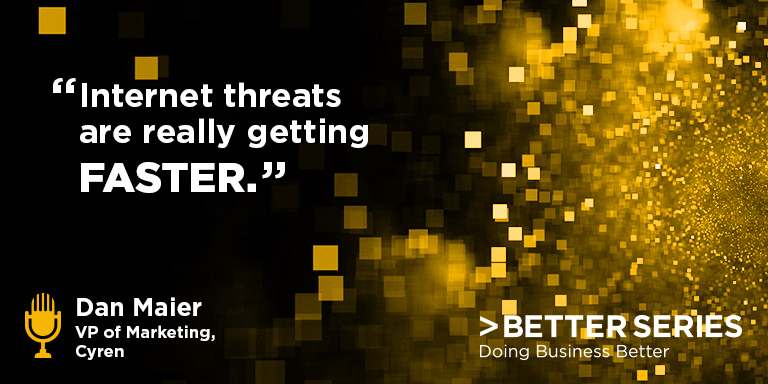 Learn how you can protect your business on this episode of Better Series.